Plumeria Home - Chiang Mai Airport, Chiang Mai, Thailand - Great discounted rates! 8.0 out of 10 based on 4 verified user reviews via Agoda. Stop at Plumeria Home to discover the wonders of Chiang Mai. Featuring a complete list of amenities, guests will find their stay at the property a comfortable one. Facilities like free Wi-Fi in all rooms, Wi-Fi in public areas, car park, airport transfer, smoking area are readily available for you to enjoy. Comfortable guestrooms ensure a good night's sleep with some rooms featuring facilities such as internet access ?ÛÒ wireless, internet access ?ÛÒ wireless (complimentary), non smoking rooms, air conditioning, desk. The hotel offers various recreational opportunities. 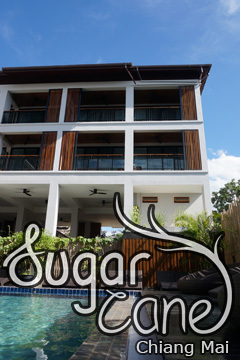 Plumeria Home is an excellent choice from which to explore Chiang Mai or to simply relax and rejuvenate. Plumeria Home - Chiang Mai classifies itself as a 3 star hotel.